Collecting past due receivables owed to you by your business clients can be one of the most difficult aspects of running a business. If you’re too patient, you may never receive payment. If you’re too impatient, you could irritate a good client who just needs a little more time to pay. And, if you’re too aggressive, you could get sued. In this article, we will discuss the top 10 mistakes businesses make when trying to collect past due receivables owed to them by their business clients, and the best course of action you should take to get paid (https://www.entrepreneur.com/article/171228). The biggest mistake businesses make is that they wait much too long before deciding to hire a commercial debt collection agency. The longer you postpone hiring a debt collection agency, the less likely you are to get paid. If you’re wondering when it’s the right time to hire a professional debt collector, the best answer is sooner rather than later. It’s acceptable to give your debtors a little time, but after 120 days past due, the chances of collecting a past due debt reduces drastically. Plus, there is a statute of limitations that governs debt collection, and if it expires, you might not be paid. 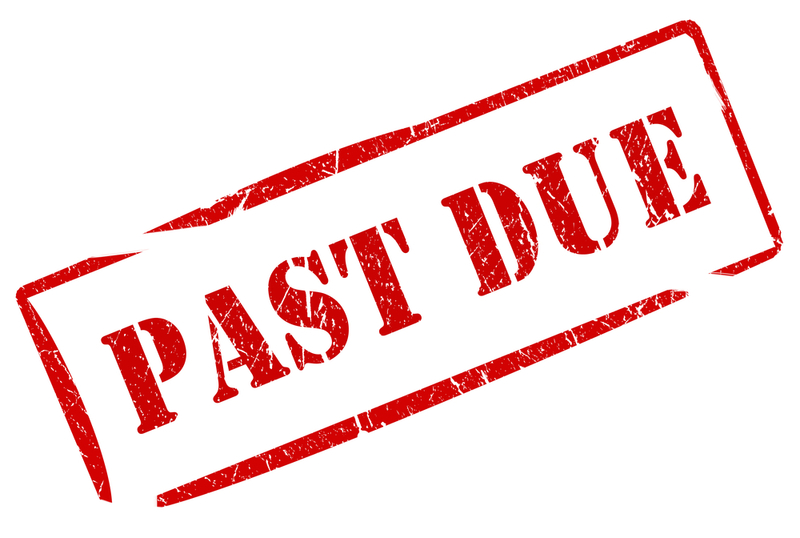 We recommend that once a client reaches 90 days late paying their invoice that you contact a commercial debt collection agency (https://www.entrepreneur.com/article/171218). Before you embark on an operation to collect past due receivables from your business client, it is important to assess the costs you will sustain in doing so. For instance, if you want to hire a debt collection agency, you should first evaluate how much they’re going to charge you. Usually, the agency collects a debt on your behalf and is, in turn, paid a percentage of the total amount owed. Before you begin a debt collection process, you need to calculate the possible expenses against the amount of debt owed so that you can know whether your collection efforts are justified or not. A collection agency will help you calculate what these costs are. There are several regulations that businesses need to follow when attempting to recover a debt from a client. Such regulations prohibit a collector from threatening or harassing a client when trying to recover a debt. Overly persistent or forceful demands may constitute harassment contrary to debt collection rules. The penalties for such behavior include punitive damages or even lawsuits. To avoid these penalties, you must ensure that you are aware of the debt collection regulations in your area before proceeding with debt collection. A collection agency be able to tell you what the regulations are in your state. (https://www.entrepreneur.com/article/171228). When it comes to collecting debts, most businesses are too patient and wait too long before contacting a commercial debt collection agency. The main reason behind this trend is the fact that they fail to set payment deadlines on their account receivables. When it comes to debt collection, it is advisable to be slightly impatient. After 90 days you should not wait any longer, and you should hire a commercial debt collection agency to begin the collection process. Waiting too long to hire a debt collection agency to collect your past due receivables is one of the most costly blunders businesses make when trying to collect past due debts (https://www.entrepreneur.com/article/171228). Very few businesses actually have a credit policy in place. It’s probably a symptom of a greater problem that most businesses seem to have with appreciating the importance of a credit policy and the potential effect it can have if not managed properly. A credit policy identifies clients as low, moderate or high risk. This segmentation will help you set credit limit guidelines and help prioritize collections. If you don’t have a good credit policy, you may end up extending credit to everyone without taking precautions. This may leave you with a mountain of unpaid debt from past due invoices on your books. Having up-to-date client records allows you to spot when a potentially dangerous debt problem is coming your way. It lets you take control of a debt problem instead of the debt controlling your business. We all know of seemingly prosperous firms that have gone bankrupt just because they didn’t have enough cash to continue doing business. If you allow bad debtors to control your business, you are likely to follow the same course. A current client record is the most useful resource when it comes to managing a business. It helps you monitor client behavior and curbs debt problems before they get out of hand (https://www.entrepreneur.com/article/171228). A clear follow-up strategy will help you get paid faster and avoid bad debts. Prompt collection of past due accounts will also help you maintain a healthy cash flow. A good follow up system includes contacting debtors on time, setting credit limits, making credit checks and enforcing a good credit policy. Your internal debt recovery staff should be able to contact debtors on a consistent basis. When persistence is demonstrated, late payers will soon understand that they can’t just ignore paying your invoices. In addition, a good follow-up system will help you decide how long you can continue contacting them before hiring a commercial debt collection agency. Commercial debt collection agencies do a lot more than just making phone calls and sending collection letters. A great deal of collection effort involves research, including finding the debtors and their assets. Collection agencies help report bad debts to credit bureaus. They also give valuable information on in-house credit and collection guidelines. Keep in mind that their primary focus and area of expertise is in collecting debts, whereas your area of expertise is running your business (https://www.entrepreneur.com/article/171228). Failure to communicate with debtors on a timely and consistent basis will leave you with huge sums of unpaid debts. It is important to always remember that communication is key to the debtor-creditor relationship. It used to be that if you wanted to speak to a debtor, you drafted them an email or you sent them a letter. But while emails and letters are often enough to get a debtor to pay, some late payers require a more aggressive approach. A telephone call is certainly one of the best communication channels, and it becomes even harder to ignore someone when they are directly speaking to you. Text messages can also be used, but this will depend on the relationship you have with your client. Look out for warning signs that clients are experiencing difficulties. Sometimes, they are not easy to recognize. As such, it is important to get debtors to admit they have problems in paying and then obtain a strong commitment for the debt to be paid. If possible, get this commitment in writing. When you do not quickly identify problematic clients, you might continue sending supplies and increase the amount of debt. If you realize that accounts are not getting paid, you should stop supplies immediately. You can then reach an understanding with the client regarding payment for past supplies and conditions for future supplies. This will save you from having to write off debts or incurring severe losses. (https://www.entrepreneur.com/article/171228). When trying to recover past due debts, one of the best things to do for your company is to hire a commercial collection agency as soon as your client is 90 days late paying your invoice. Commercial debt collectors are experienced in debt collection techniques and will do so in a professional manner. Remember, the longer you wait before hiring a collection agency, the less likely it is that you will receive payment from your client.